You have noticed that last week I was MIA... March has been just one big whirlwind in our family with two birthdays literally days apart, the release of my Lovbirds' Garden pattern, and Easter break sandwiched in between it all. Needless to say after all that I simply did not have the energy to write about it, but that's ok because all work and no play makes Jane a dull girl, right? that's not so much... well, at least that what I keep telling myself. Before any kind of show, I like to do a little mock set-up just to make sure that I've thought the layout through, and figure what needs to be tweaked. I've been busy finishing up a few felt applique samples for one of my classes. 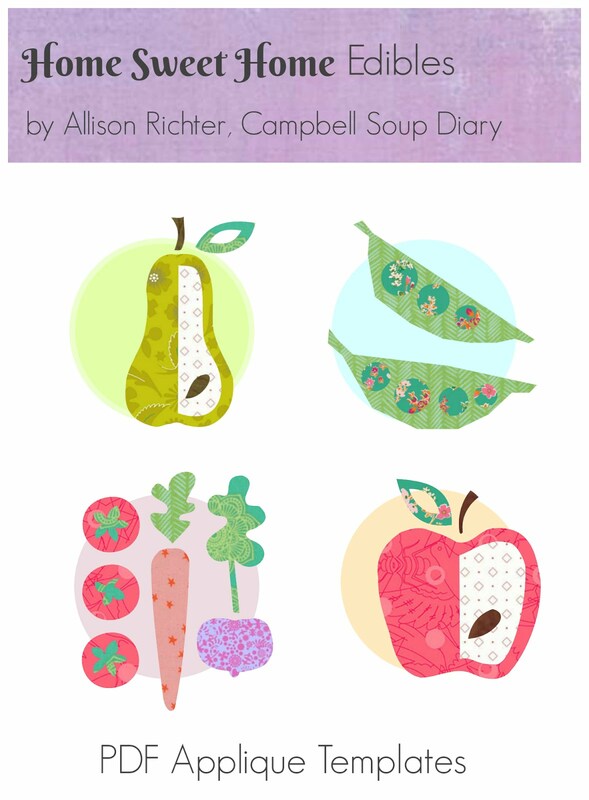 I'm over the moon thrilled that Alison Glass made up two template pages that I will be sharing with my class participants... these are exclusives from her Applique book, and what I used for this first pillow. Keep your fingers crossed for me... so much to do, so little time. What's keeping you busy these days? 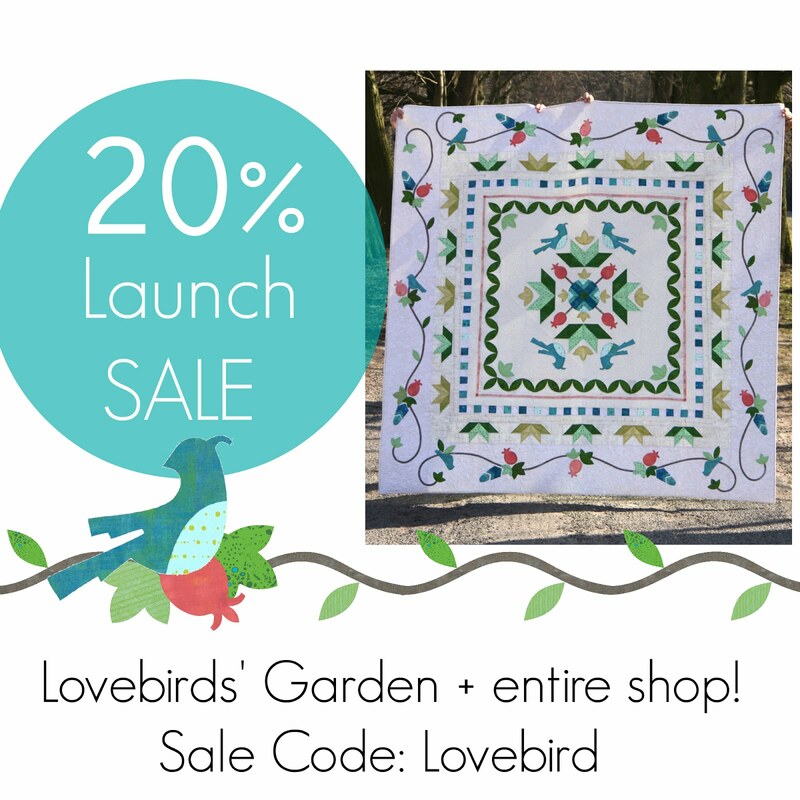 After a year in the works, the time has finally come to share... "Lovebirds' Garden" and "Lovebirds' Garden - Just The Shapes" with you! 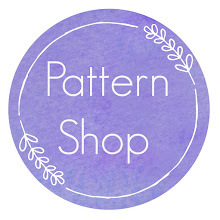 ... and what better way to celebrate than with a 20% discount on my latest quilt patterns PLUS my entire Payhip shop! 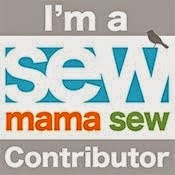 Simply enter the code: Lovebird when you check out. Sale runs from March 15th through March 25nd, 2018! 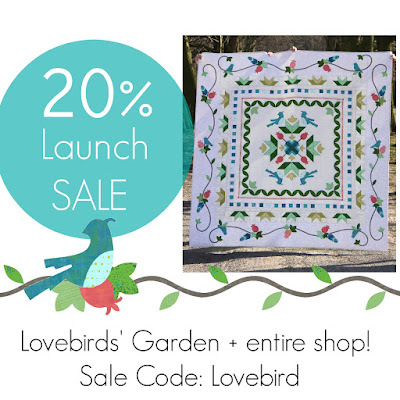 Lovebirds" Garden – "Just The Shapes" is a spin-off from my original Lovebirds’ Garden medallion quilt pattern, and just as the name suggests – includes “just the (applique) shapes”. The templates are outline drawings that can easily be printed on A4/letter size paper and then be traced onto your own materials to make appliqué shapes. 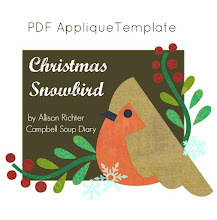 Templates can also be used for paper projects. Really looking forward to seeing some of your Lovebirds' Garden projects! 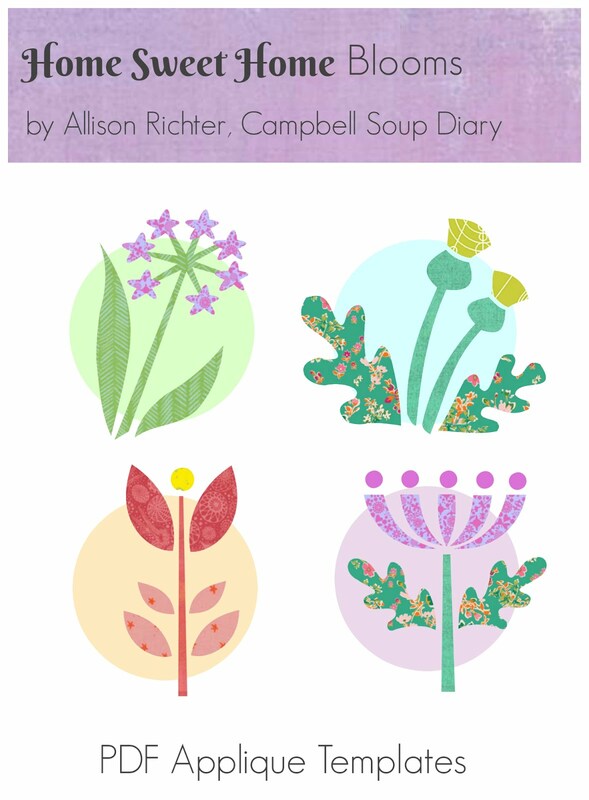 "Lovebirds' Garden - Just The Shapes"
One more day... just one more day, and then I will be sharing what I've been working on over the past year!?! 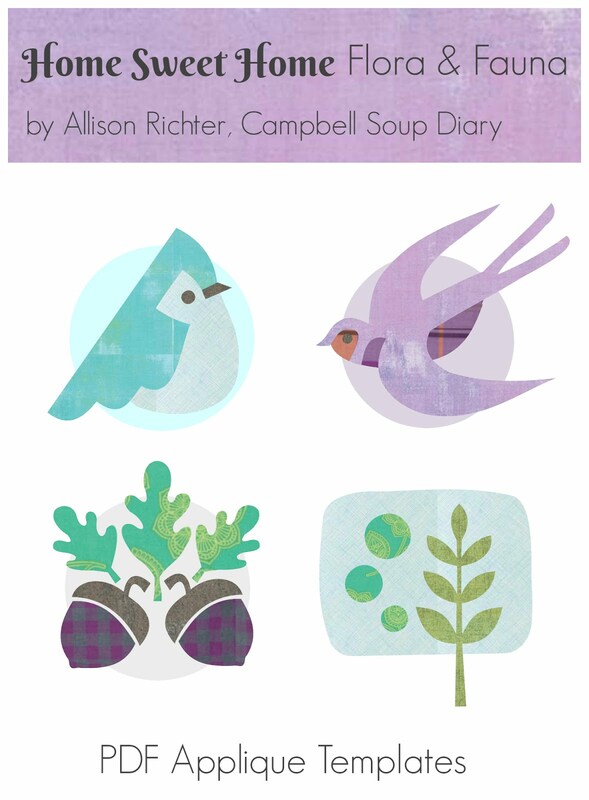 As I printed out ALL 31 pages of my Lovebirds' Garden pattern (which releases tomorrow!)... I have to admit that it was a really satisfying feeling. Almost as big of a rush when you put that last stitch in your binding, and you turn it over to see your finished quilt for the first time. 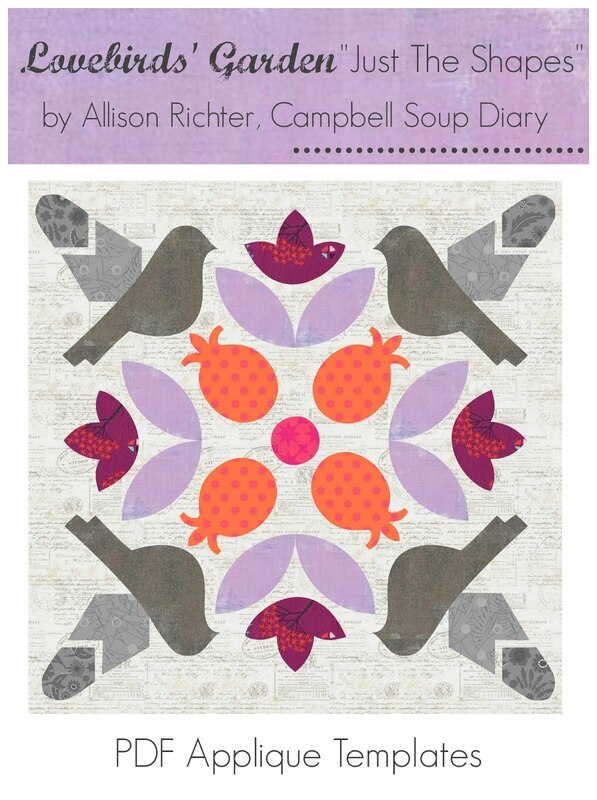 Additionally, I am really excited that tomorrow I will also be releasing, "Lovebirds' Garden - Just The Shapes", the first of five "mini patterns" that I will be offering. 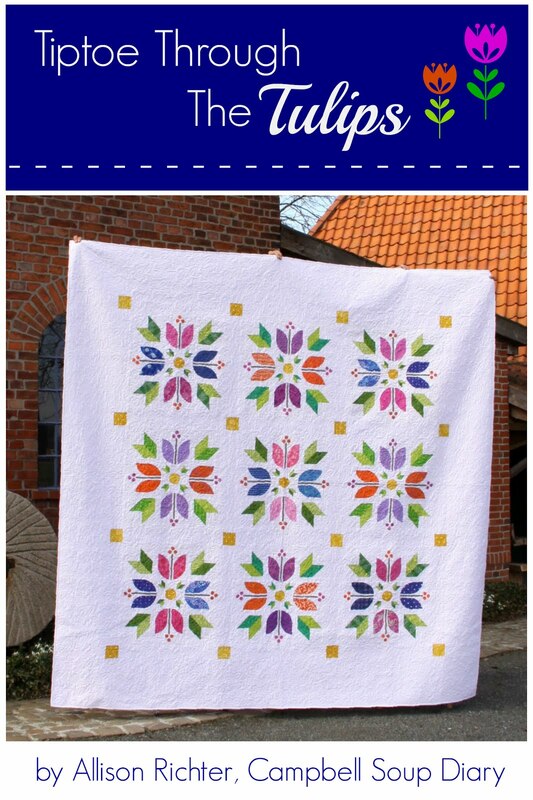 These mini patterns are simply the set of applique shapes, because some quilters love the freedom of coming up with thier own project/layout. 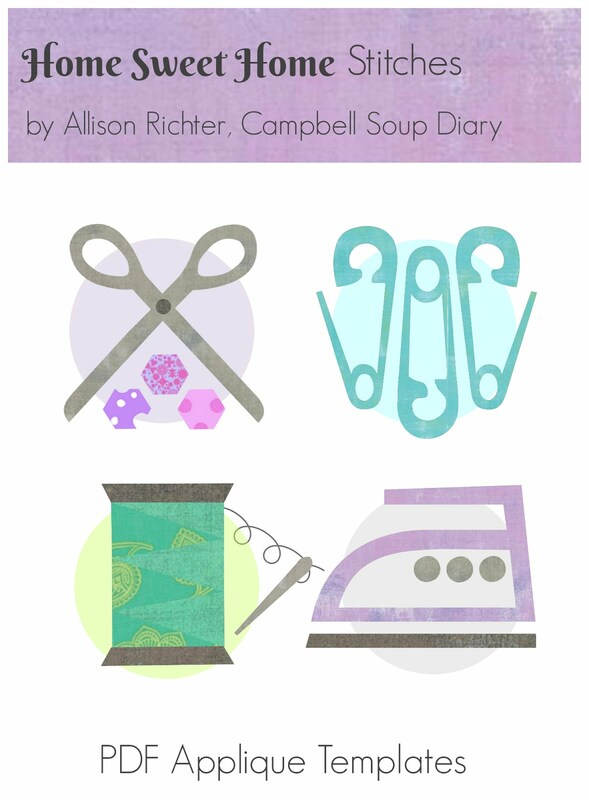 I realize that many quilters enjoy the satisfaction of smaller projects in between those really big quilts, and not only that, perhaps first time appliquers might be more willing to try a small project before moving onto a larger and more intensive one. What ever your cup of tea, these "Just The Shapes" projects leave a lots of room for the imagination. Be sure to stop back by tomorrow for the offical release and other information about the Lovebirds' Garden and Just The Shapes! Almost a year ago this month, I sat in a quaint little restaurant with my husband for a birthday breakfast, soaking in all the charm of the centuries old building. The fact that we often don't take the time to treat ourselves, made the day even more special. 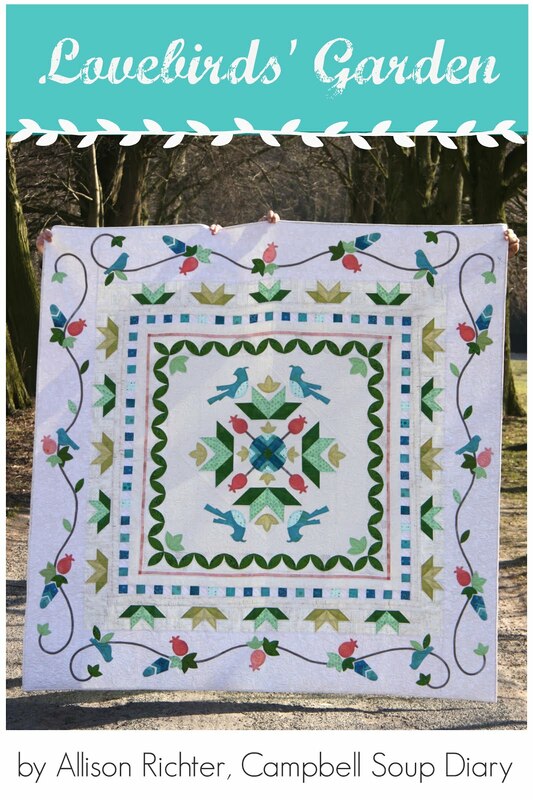 As I sat across from my husband, my gauze kept falling on the cross stitch piece that was behind him... which ended up being the inspiration for my latest quilt pattern Lovebirds' Garden, to be released next week, March 15th! 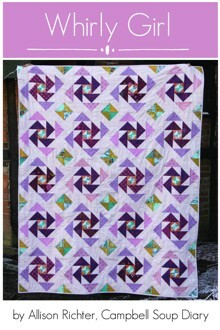 I could not have finished the quilt as quickly had it not been for a little help from Iva. 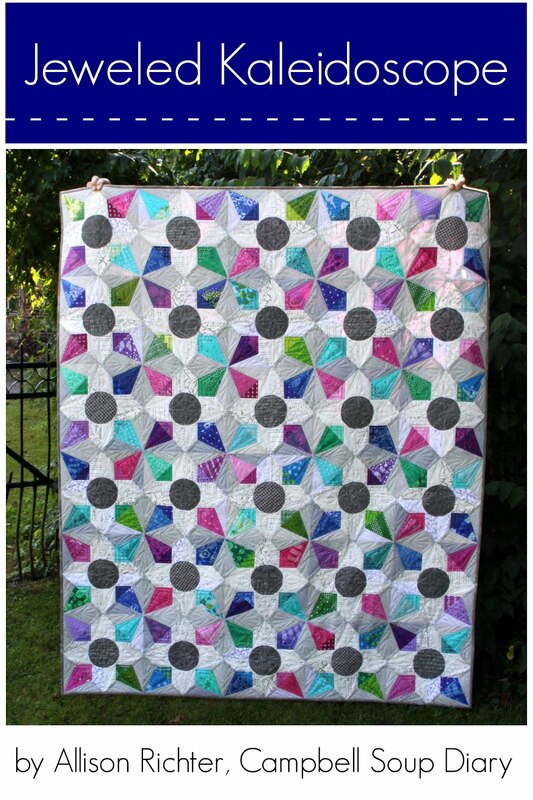 She did the amazing quilting while I have been busy working on other upcoming patterns. She actually joined us this fall for our quilting retreat, and she found this perfect little spot on the grounds for a nice background... isn't it fun how the green in the quilt is picked up by the moss covered doors in the background? 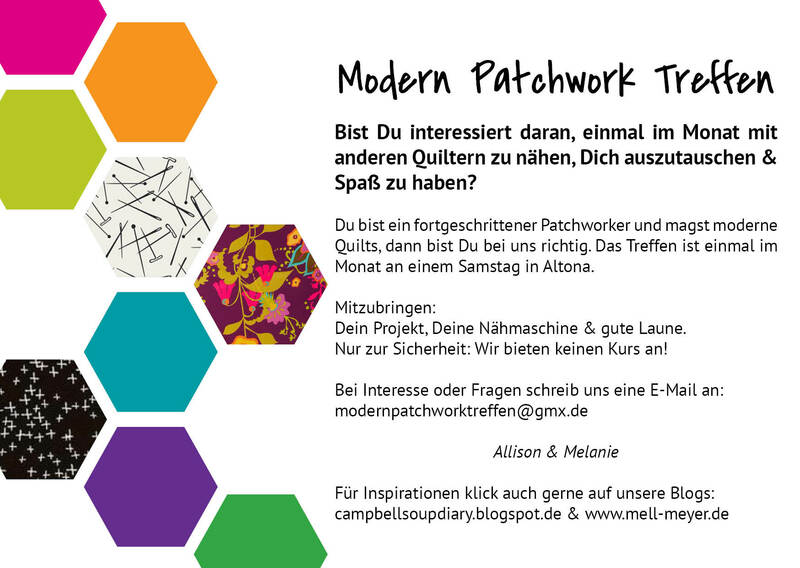 It was at the retreat that we were able to coordinate quilting plans... 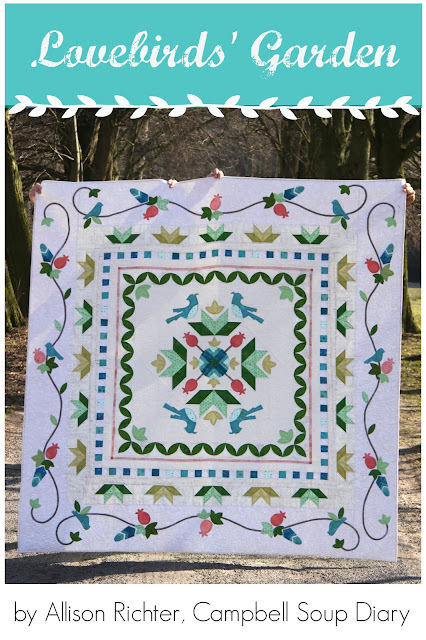 I just love how she framed the center medallion, really making it the focal point of the quilt. I love the simple shadowing of the leaves and orange peel accents throughout. Does this couch look familiar? Well, it should... somehow this blue keeps following me despite not being a blue fan. I have to admit that this had to be the hardest quilt photo shooting that I've done... remember all those weather shows that were talking about the "beast from the east" cold weather front that swept across Europe? Yep, that was our photo shooting day!?! My hands were so cold that I could barely hold the camera, and the wind gusts kept us from taking more shots. 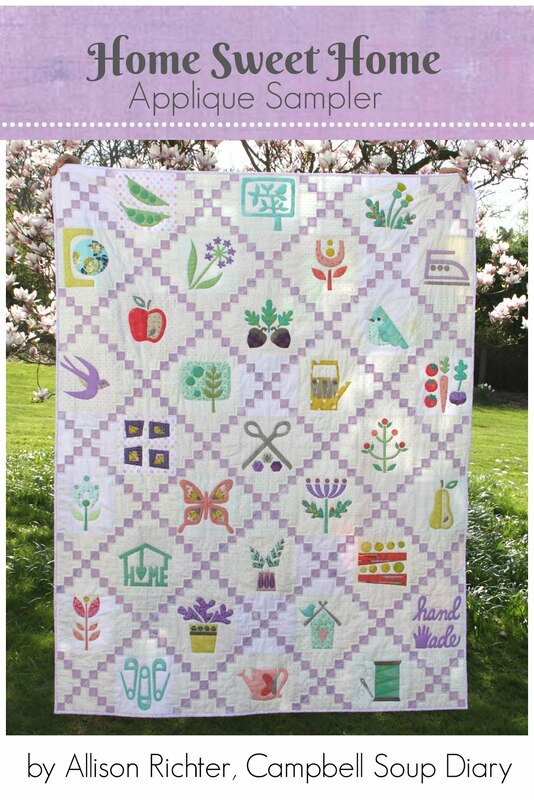 I'll be sharing more next week with the pattern release, so be sure to check back in... just in case you happened to miss the full story about the Lovebirds' Garden quilt?... then you can find it here. Linking up for the 2018 Finish-A-Long!